As with my original post about #Kony2012, I write this post with a fair amount of trepidation since I learned from that episode just how emotional this topic can be. My aim here is merely to reflect on what we can learn from the ‘Cover the Night‘ event, not to criticise it, and I will attempt to be as sensitive as I can. For this reason I will not be commenting on the content of the Kony campaign; in any case I have done that previously. 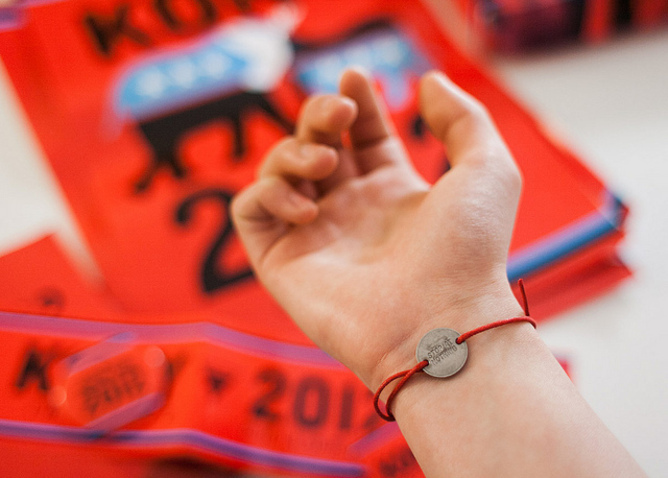 The first thing to note is that the Cover the Night event was highly successful, at least in relation to Invisible Children’s initial expectations prior to the release of Kony 2012. These expectations included that half a million people would watch Kony 2012. However given that the video became the most successful social media campaign to date, with over 100 million views, the results embodied in Cover the Night were quite disappointing. In my hometown of Sydney 19,000 people clicked on ‘attending’ for the Cover the Night Facebook event, though one report claims only 25 or so people were present at Martin Place, the event’s main centre. That is not to say it’s all over. The campaign has not ended just because IC’s main event has passed by; there is still the opportunity for further advocacy. However judging by the take-up rate of Cover the Night this seems unlikely. This is not a reflection of Invisible Children so much as the current state of popular activism; Invisible Children is merely the most publicised instance of the difficulty in translating social media popularity to on-the-ground work. Indeed, many I know who shared the Kony video and criticised those offering a critique stayed home on Saturday night… This is not a problem with IC, but the state of young generations (of which I am part). One of the clearest lessons is that awareness does not guarantee action, much less change. Literally tens of millions of people watched Kony 2012. 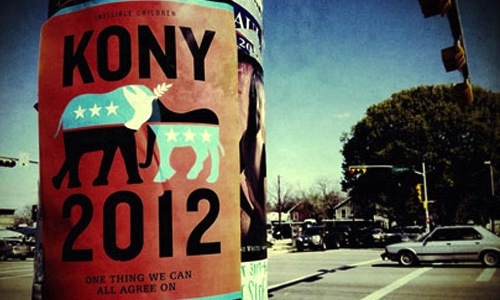 It is possible that over a billion people at least heard the name Kony during the height of the campaign. Yet cities across North America, Europe and Australia remain poignantly unplastered with Kony posters. A routine by comedian Aamer Rahman has illustrated well the point, though in a reasonably harsh way, that intentions are not enough. We have also learned that social media is young, and that we do not yet understand it. In saying this most charities have learned by now that energy on social media does not necessarily translate to energy off social media – the leap from Internet to the streets is a long one. Again a fairly harsh YouTube clip serves as a good illustration. It should be clear that clicking a button does not make one an activist. Indeed, we should go further – clicking a button does not even demonstrate care for a cause; that conviction is reserved for sacrificial action in real life. Causes come and go – what matters is that people live entire lives characterised by justice and goodness. Activism is just as much about the mundane moments of life as it is about campaigns and events. So-called “clicktivism” or “slacktivism” is simply another form of status-seeking and consumerism that reverses the course of real justice in the world. For us young people: the challenge is set. An honest observer must acknowledge in this episode the implosion of the oft-uttered sentiment that it is good that young people are finally interesting in a cause beyond themselves. As it turns out many of those same young people weren’t that interested. The ascendancy of motivation as the primary locus of goodness or justice is either a fantasy or idolatry, or both. Let the fruits bear witness to the tree; we can say that young people are finally interested in something bigger than themselves when their real life actions, and not their Like-happy index fingers, suggest so. Related to this is that celebrity-driven campaigns are questionable because of the framework for social change that they promote, namely top-down. Certainly social change can come top-down, but what is unclear is whether such change leads to flourishing for all people, particularly those on the bottom. What is far more likely to bring meaningful and sustainable change is grassroots campaigns. That is not to say that social media cannot play a part; on the contrary the Arab Spring uprisings relied heavily on social media for communication. However the Arab Spring was also a movement of the people. The equivalent in the case of the LRA issue is Ugandan people, and not Westerners, taking action (which they have been doing for years). There are many lessons for us to learn from Kony 2012 and Cover the Night and I know I’ve only scratched the tiniest surface. All of us involved with social change, in whatever capacity, owe a debt of gratitude to Invisible Children for paving the way in the social media sphere, and making important mistakes from which we can all learn. This is not a veiled criticism since all organisations make mistakes. As noted, social media is in its infancy and there is still much that we do not understand about it. We must also remain healthily critical about these issues of social justice, since we can do harm whilst massaging our guilt and Facebook ‘Like’ buttons. In the end I pray people will take up the challenge of holistic, all-of-life activism. Posted on April 23, 2012, in Advocacy, Current Events, Development and tagged Activism, April 20, Clicktivism, Cover the Night, Hacktivism, Invisible Children, Kony 2012, Kony2012, Slacktivism. Bookmark the permalink. 3 Comments. Good points as always, Matt. I think for me, the two things I’ve taken away from Kony2012 are 1) It’s far too easy for people to become faux-cynical towards these kinds of issues and find shallow critiques which a) don’t contribute to improving the movement and b) tend to provide a kind of counter-movement in terms of the identity politics. In light over Kony2012’s overwhelming hype, I saw a lot of people who wouldn’t have otherwise been interested in social justice issues taking a stand against it in order to bolster their status quo claims to individualism. It’s an interesting social phenomenon and I’m hoping that we’ll start seeing some sociological analysis coming out in the relevant journals in the next few months. (Russell’s breakdown takes on layers of meaning in this light, if one considers Diogenes and the roots of cynicism). But 2) Who cares if it fails here? Realistically the asks of Kony2012 were dependent on US military forces and manipulating US politics on a domestic level. There was very little that Australian’s could effectively contribute in this regard. Allegations of spying on the part of Invisible Children for the Ugandan Government just serve to highlight how political the organisation’s aims really are, even more so if you consider the number of US war criminals who will never get to sit in that chair in the Hague. It’s an Americentric organisation with Americentric foreign policy goals attempting to achieve those goals through Americentric means. How does Australia even fit into that? It would make much more sense, if one is genuinely interested in the success/failure of the Kony2012 campaign to look at IC’s target market — the US — and see how it performed there. As always an insightful (and perhaps inciteful ;-)) comment Pete. I’m interested in your comment about Diogenes and cynicism in relation to Russell, as i’m not quite sure about the connection you are drawing (I know very little about Diogenes, except that he was an early Cynic and accordingly chose poverty). The Americentrism you point out is true, and I would love you to expand on this. Obviously this wasn’t the point of my post, but the topic deserves a good treatment. It seems, from most reports, that it wasn’t much better than it was here; the issues involved with social media explored in this post are of course global. Well, the link I drew was that Diogenes’ cynicism was a critique of social values and norms — the status quo. One of the ways he expressed this critique was an ascetic lifestyle, which included (amongst other things) living half-naked in a barrel and masturbating in public. While I don’t believe it was Russell’s intention, one can ‘read’ his breakdown as a critique of modern cynicism, where cynicism is inverted as a kind of apathy in order to maintain the status quo. As I mentioned to a group of young people I was speaking to the week after the story broke, a historical reading of Russell’s actions would suggest a defiant mockery of the kind of cynicism that was deployed by many in the wake of Kony2012 in order to justify their inaction, by channelling the spirit of Diogenes in a modern context.